Home Instead® CAREGivers℠ provide compassionate, high-quality memory care right in your loved one's own home or wherever they call home. 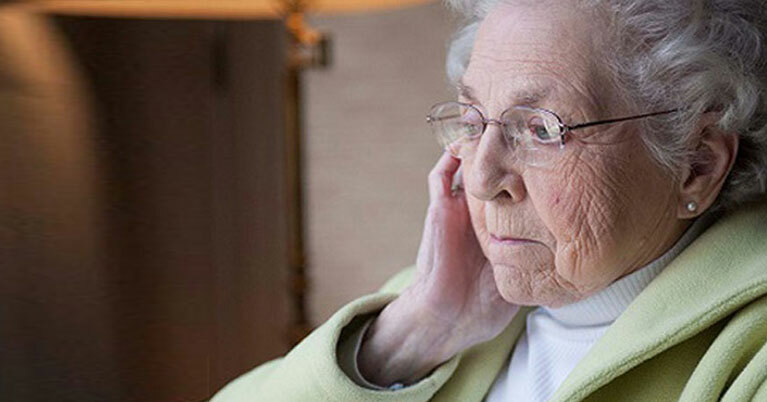 No matter where seniors live, in their home, in assisted living facilities or even nursing homes, Home Instead Senior Care is currently providing thousands of hours of senior home care services annually in the Etobicoke and Mississauga areas. Reader's choice award ten years in a row for Best Home Care. J.D. Power President’s Award for Excellece in Customer Satisfaction. J.D. 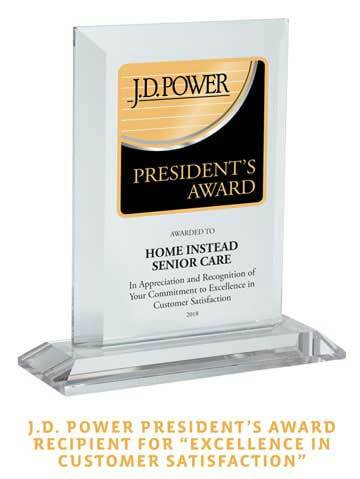 Power presented its prestigious President’s Award to Home Instead Senior Care in recognition of its commitment to caring for older adults and exceeding customer expectations. During the 50-year history of J.D. Power, only 13 companies have previously received the President’s Award. "My aunt was diagnosed with Alzheimer’s Disease 7 months ago. I am her primary caregiver, but I live >800km away and I discovered a few months after moving her into a private retirement home that the care provided by the retirement home was insufficient to meet her needs. Colleen has been my aunt’s caregiver for the past 5 months and she has had such a positive impact on her quality of life. My aunt has always been a fiercely independent person and I think was concerned that her independence would be taken away with the diagnosis. Without close family or friends nearby, Colleen’s care and companionship allows her to maintain some of that independence, a key element in the maintenance of dignity in the face of a life-altering disease. As I live so far away, Collen has become my eyes and ears ensuring that my aunt has necessary household supplies, snacks, and is able to attend medical appointments. Colleen has gone above and beyond to make sure that my aunt is well taken care of and I know my aunt really appreciates her and truly enjoys her companionship. Although we have never directly spoken with each other, I feel like Colleen is a trusted family member. Shanyce’s weekly updates and responsiveness to my emails are incredibly reassuring. I am very grateful for the services provided by the staff at Home Instead." 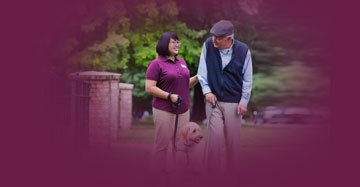 Looking for a job in home care, working with seniors in the Etobicoke or Mississauga area? Join our team at Home Instead Senior Care for a rewarding job experience offering. © Home Instead Senior Care 2018. All Rights Reserved. "My family and I would highly recommend using the services of Home Instead Senior Care. This team has provided excellent care to our Uncle who suffers from Alzheimer's and refuses to go into long-term care. Their services have provided peace of mind to our family. Our caregiver, Mary, has been instrumental in encouraging our Uncle to do things he otherwise didn't want to do, like showering ! Not only does she provide him excellent care, but she's become a true companion and friend, and he frequently tells us how much he likes her. This firm goes above and beyond in ensuring their clients needs are being met. Diane Langan, the Client Care Coordinator, has made personal visits to his residence. This is not something we expected ! Thank you team for being an important part of helping to ensure our Uncle is safe and well taken care of." "Paul, Rosie, Suzette and the rest of the team at Home Instead have been amazing. My mom has Alzheimer's and recently moved into a retirement home. The transition was very difficult for her and for me, but the team at Home Instead has been very helpful and patient with all my questions and last minute requests. They always have Mom's best interest in mind. I don't know what we would have done without them." "Caregivers from Home Instead (H.I.) are allowing me to keep my husband, who has Alzheimer’s, at home, where he is happy, as long as possible. While the caregivers tend to my husband’s needs, I get a break so that I can get out to socialize, be intellectually stimulated, and attend aquafit classes. Without H.I., I’d likely be stuck at home 24/7 and risk caregiver burnout or severe depression. Our current caregiver is wonderful and she, my husband and I get along very well, as H.I. makes it a priority to find a good fit between the client and the caregiver. Our caregiver is very attentive and responsive to my husband’s needs by preparing his brunch and making sure that he has all the coffee that he wants and that the water in his hot water bottle is actually hot. She actively engages him in conversation and activities such as looking at photo albums. She straightens his bed after he wakes up or has a nap and makes sure that he is safe. Our caregiver has also been a great help to me with light housekeeping, and when she finishes her shift, everything is always neat and tidy, leaving me free to do my other tasks such as shopping, banking, bill paying, gardening, arranging for house repairs and all of the other things that need to be done in order to keep a house functioning smoothly. I’m very impressed with H.I.’s oversight and procedures; for example, H.I. has a 24/7 call centre; the H.I. client representative always personally introduces new caregivers to clients; if a caregiver is late arriving, the caregiver is required to phone the H.I. call centre and the H.I. person on call phones and informs the client. If a caregiver is ill and cannot make their shift, H.I. informs the client and offers to find a substitute caregiver. All caregivers are required to sign in and sign out from their shift with head office. If there are virtually any issues at the client’s home, the caregiver can phone the H.I. call centre to find a resolution. In addition, the H.I. client representative regularly visits each client’s home for quality assurance and to assess the client’s satisfaction. I feel very happy and secure with Home Instead’s service.."
"When mom was diagnosed with vascular dementia, our family was at a loss as to what this encompassed, and how we would manage to provide our mom with the best care we could manage. After some incredibly insightful and helpful meetings with the local chapter of Alzheimer Society, we had some solid advice and direction. 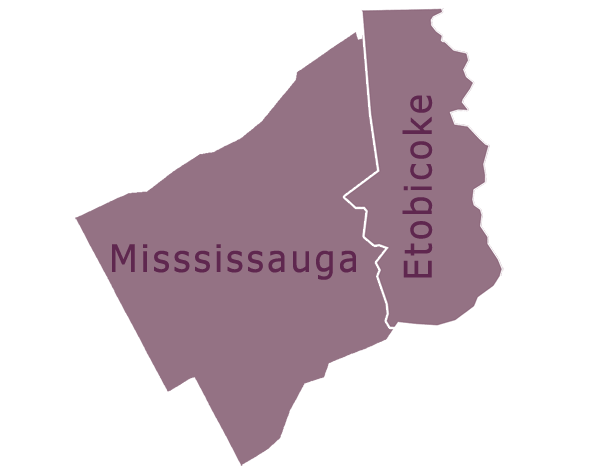 Ultimately, this lead us to the Mississauga Home Instead team. We cannot thank this amazing team enough! The excellent care mom received for the nearly seven years Home Instead was apart of her daily life was always reliable and exemplary. All the staff have been helpful, truly kind and respectful of both mom and our family, which is so important during a very challenging time. Thank you to all of the team at Home Instead. And to all of the wonderful caregivers who helped care for our mom with such skill, kindness and love, we are forever grateful.."
"We have been using Home Instead for just over a year to help take care of our mother suffering from alzheimer's - dementia related issued. Cecilia (scheduling) and all the care givers have been phenomenal. Home Instead always makes sure my mother has consistent care and they are very amenable to any scheduling changes that may occur. They are always available to discuss the ongoing changes to my mother's health and together we come up with solutions. I can truly say that Home Instead has helped to relieve some of the stress our family was having due to my mother's illness. In a way, Home Instead takes care of our mother and our family." "I have been a caregiver for my husband for 7 years now. He is on his Advanced Progressive Alzheimers. Recharge program through Home Instead Senior Care was excellent! It was a big help and gave me support to face and overcome the difficulties and challenging situations that I experienced in taking care of my beloved husband. I would like to thank all the staff of Home Instead Senior care, who has provided me with good caregivers. I am grateful for the service especially to Emely for her excellent care, patience, kindness and dedication through this time. Thank you very much!" "We have every confidence in the caregivers selected by Home Instead (PSW's, companions) for Mom, who has Alzheimers disease. Home Instead does a wonderful job of finding the best 'match' for Mom. All caregivers assigned have and continue to be professional, caring and kind. Despite being challenging at times, Mom is always treated with kindness, respect and dignity. Companions encourage Mom to take part in activities (cards, bingo, music, colouring, reading the newspaper, etc) and she always enjoys herself, even if she does not remember once the companion has left. It is a tremendous relief to my husband and I to be able to get out together and be at ease leaving Mom's companion in charge, as we know Mom is in good hands."